Scary Movies... at Pop Expo! You like going to PopExpo? Well friend, have I got a deal for you! This Saturday and Sunday, Ottawa PopExpo has a whole series of scary movies for you! 2:30 p.m. - Zombie Block - Featuring a whole series of shorts on everyone's favourite undead... the Zombie! 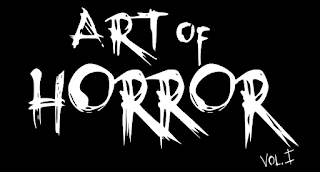 4:00 p.m. - Ottawa Horror Film Block - Culled from OH Volumes 1 and 2, 60 minutes of Ottawa's finest Horror Filmmakers. 5:15 p.m. - Canadian Horror Film Block 1 - A selection of the best Horror from the Great White North! 3:00 p.m. - Ottawa Horror Film Block 2 - Another hour of Ottawa's finest! Check out all the details on the PopExpo site. And go see some movies!